In search of inspiration for a dining table, the founders of bruunmunch used the design of their Play side table series. 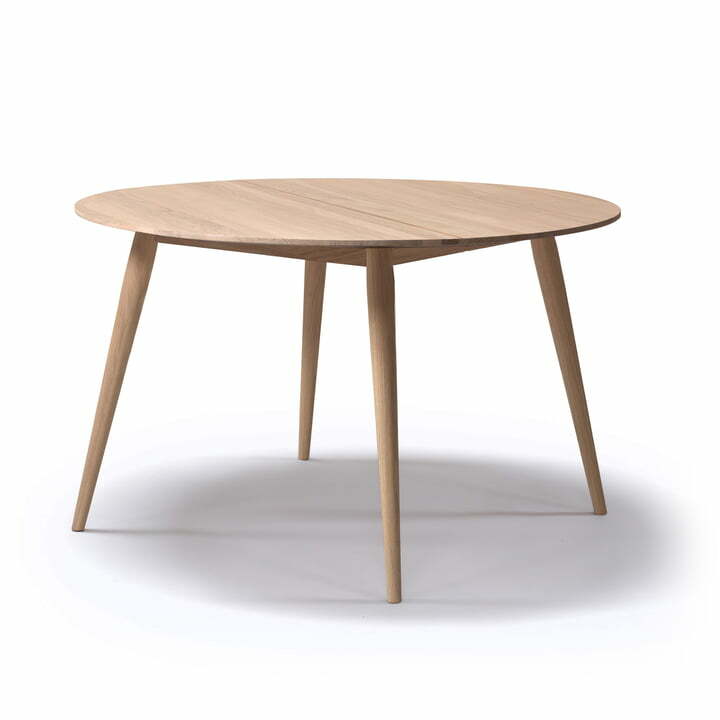 The result is a round dining table made of wood that is reminiscent of the Danish design of the 50s. The solid table top is cut by hand and polished until it is smooth and the edges are rounded. Optionally, it is divided in the middle and can be extended up to one meter. This gives the round table an elliptical shape. The matching insert plates are available separately and are connected to the table tops with a tongue and groove connection. 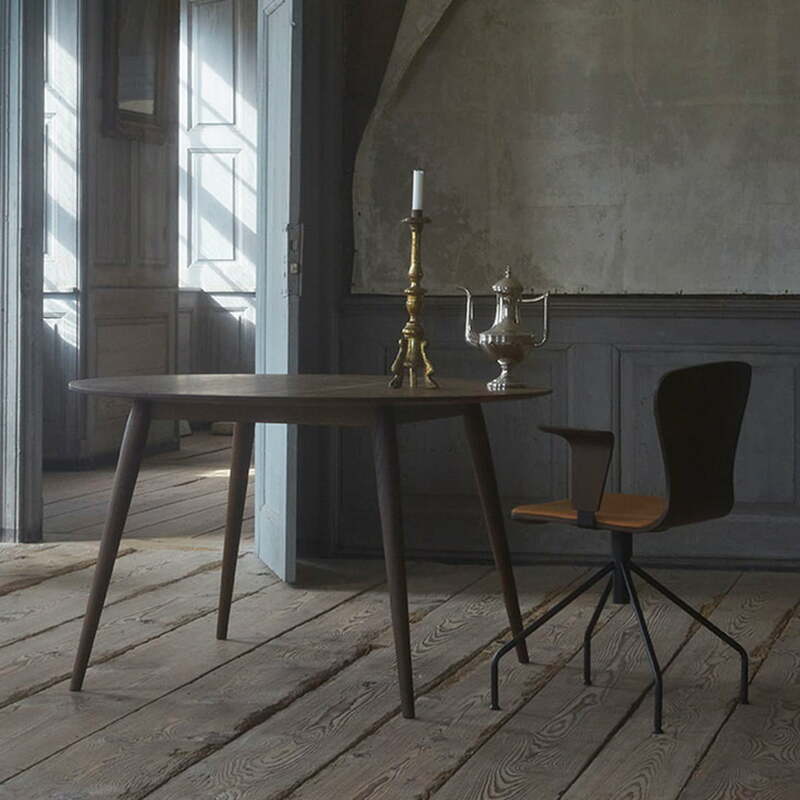 Together with the turned wooden legs a light-footed and elegant dining table is created, which is flexible in its shape and size. 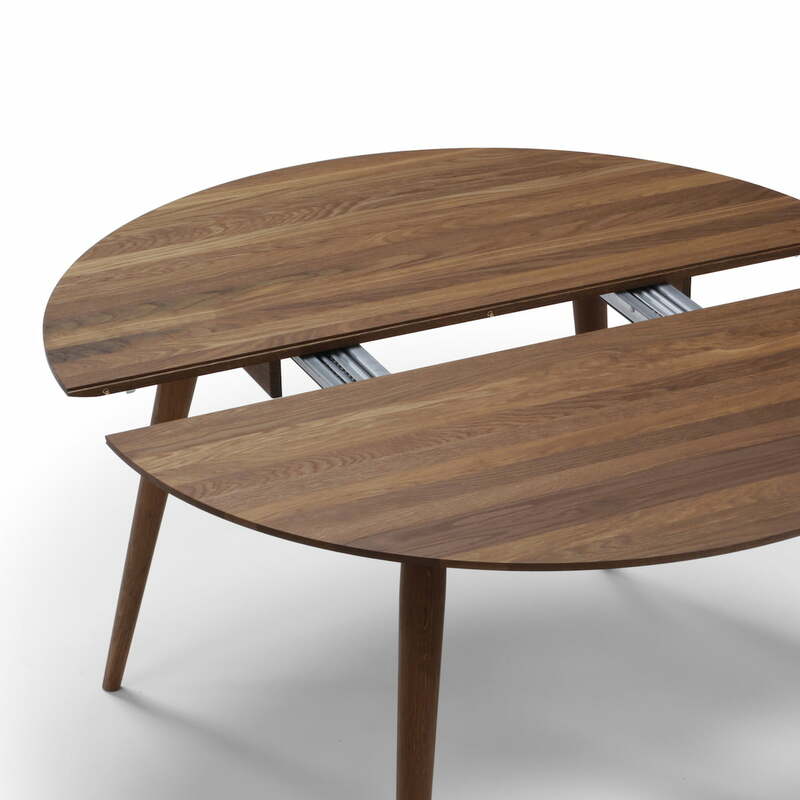 The table is also available with a white laminate top framed by a wooden band in oak or walnut. The frame is coordinated with the legs and the frame of the table made of solid European oak or American walnut. In the frame, up to two insert plates can be stowed away, which are discreetly covered by the table top. 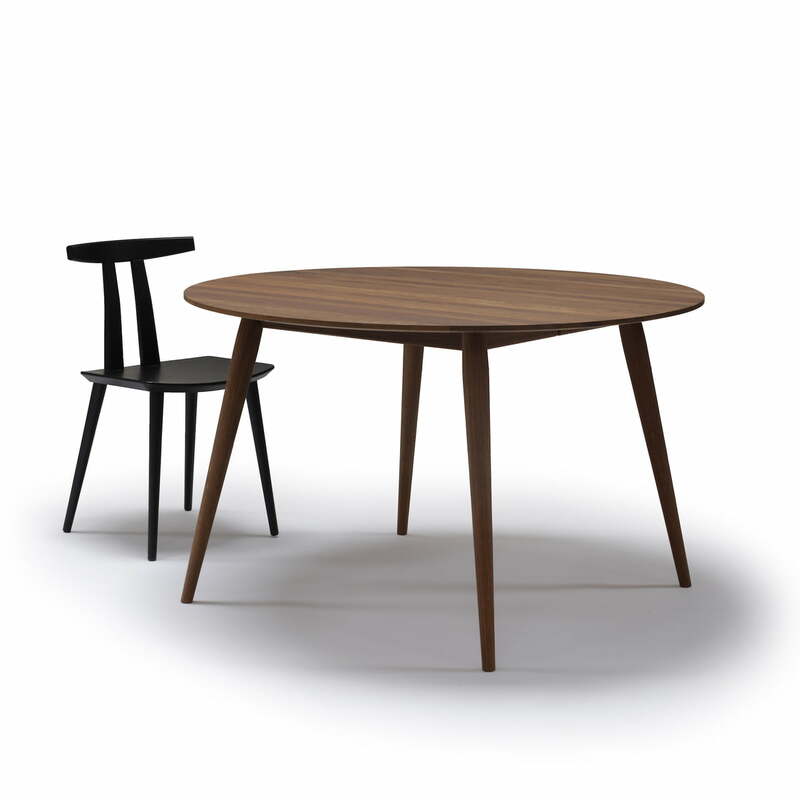 The Play dining table from bruunmunch is also available with a tabletop in super ellipse shape. 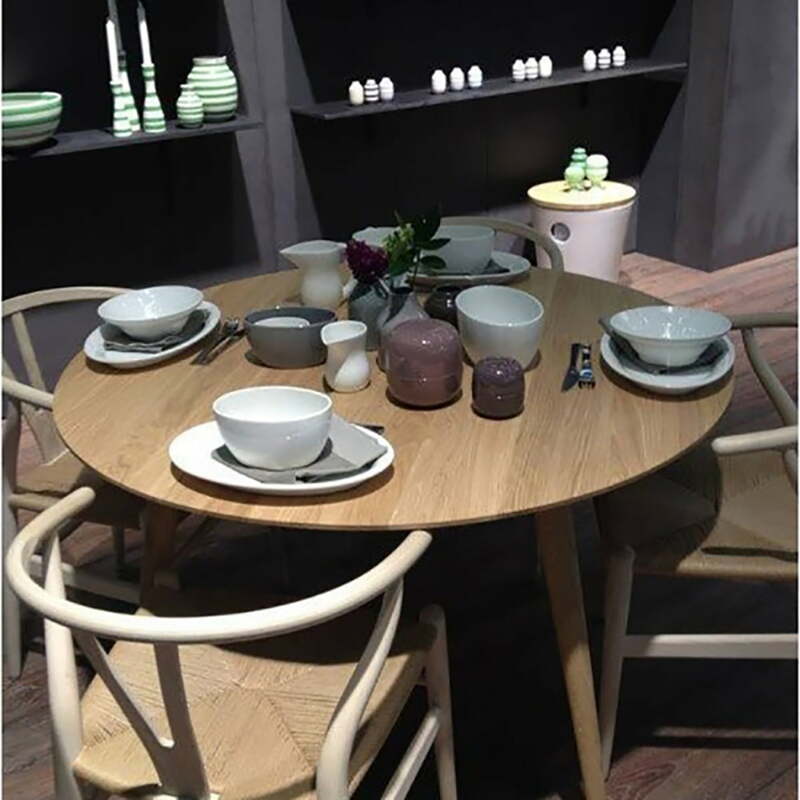 The Playdinner dining table in round with diameters from 120 to 220 cm by Henrik J. Bruun & Jacob S. Munch for bruunmunch in oak natural oiled in single product view. The solid table top is cut by hand and polished until it is smooth and the edges are rounded. Optionally, it is divided in the middle and can be extended up to one meter. The Play Dinner Round dining table from bruunmunch. In the frame, up to two insert plates can be stowed away, which are discreetly covered by the table top. 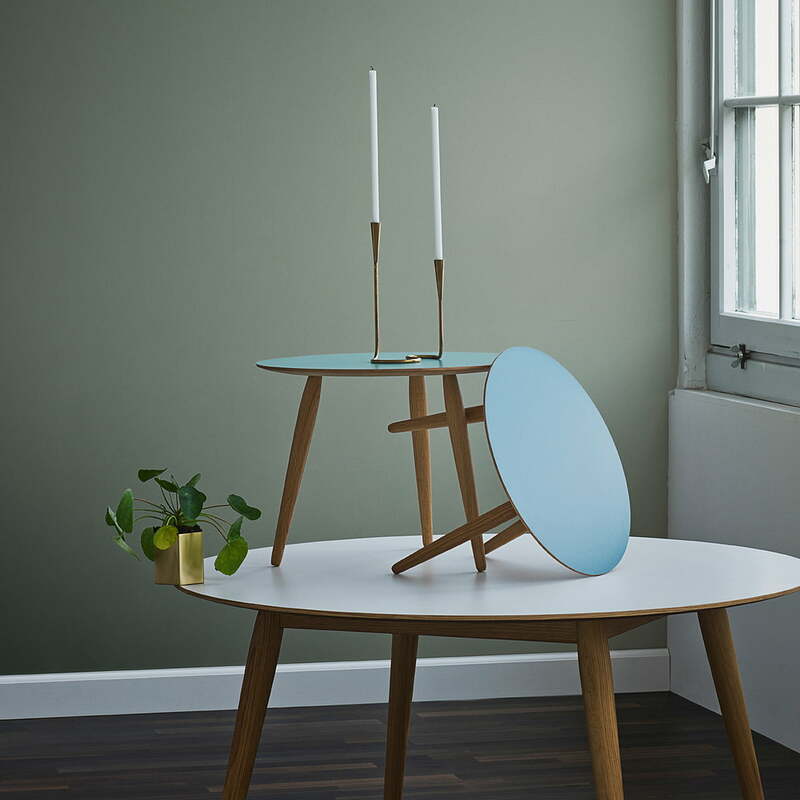 The play round laminate table with table tops in different colours is not only available as a side table in different versions , but also as a large round dining table.